The Willi Hennig Society was founded in 1980 with the expressed purpose of promoting the field of Phylogenetic Systematics. Hennig’s idea that groups of organisms, or taxa, should be recognized and formally named only in cases where they are evolutionarily real entities, that is monophyletic, at first was controversial. It is now the prevailing approach to modern systematics. The Hennig Society has a strong international character. It meets annually and the meetings usually alternate between North America and the rest of the world. 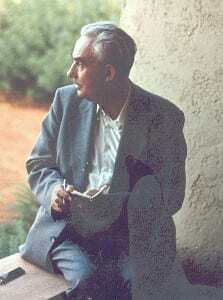 The journal Cladistics is the official publication of the Willi Hennig Society. It comprises a rich mixture of theoretical and empirical peer-reviewed contributions to phylogenetic systematics. The purpose of the Hennig Society is outlined in the Articles of Incorporation. FIRST: The name of the Corporation the Willi Hennig Society. SECOND: The period or duration is perpetual. To advance the science of phylogenetic systematics in all its aspects of theory, principles, methodology, and practice, for both living and fossil organisms, with emphasis on areas of common interest to all taxonomists regardless of individual specialization. To hold meetings for discourse on systematics, to publish or cause to be published books and treatises on the subject of systematics. To encourage systematists and groups, societies, and associations of systematists to engage in cooperative endeavors for the benefit of systematics, to coordinate such endeavors, and to make their fruits available to systematists. To encourage excellence in phylogenetic systematic research by awarding prizes and grants. FOURTH: The corporation will have members. FIFTH: The corporation is to be divided into two classes of members: Fellows and Associates. There are no special prerequisites for membership, and all members are equal in the rights and privileges of membership, except that governance and voting is restricted to Fellows only. SIXTH: Officers and a Council shall be elected as provided in the Bylaws of the corporation, after the corporation is established by the initial Board of Directors. The Willi Hennig Society is a registered 501(c)3 not-for-profit organization incorporated in the District of Columbia with its business office registered in the state of New York.